Low growing, making dense mounds of dusky purple, felty, aromatic leaves, becoming greener with age. Lilac-blue flowers in early summer..
Best in sharply drained, fairly poor soil in full sun and a warm position. 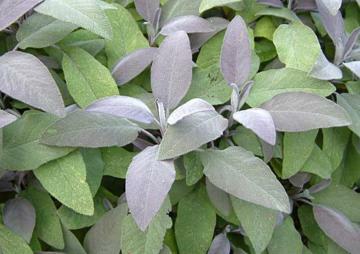 Edible leaves, which can be used in the same way as normal culinary sage.